Spatial Affairs Bureau can get a lot done. Started in 2010, the multifaceted landscape, architecture, and design practice led by Peter Culley boasts a wide array of diverse and engaging projects in the United States and England, with offices in London, Los Angeles, and Richmond, Virginia. With a background in landscape-focused cultural projects—Culley earned his stripes at London-based landscape architecture practice Gustafson Porter + Bowman in the late 1990s—Spatial Affairs pursues an intellectually nimble practice by pushing project constraints toward broad ends that encompass everything from “interior landscapes” to urban-scaled configurations. As the number of commissions in hand has multiplied over the years, the practice has become well-versed in combining the advice of expert consultants with its own penchant for programmatic and spatial innovation. It does so in an effort to create layered material and historic conditions that always push back toward the landscape in some form or another. The approach has resulted in a string of under-the-radar but dramatically good-looking commissions that aim to create something greater—and more cohesive—than the typical, rigidly defined arenas of normative practice might allow. Aside from the work profiled here, Spatial Affairs Bureau has a number of other significant projects on the way, including several sustainable houses in Los Angeles, a master plan and remodel of the headquarters for advertising agency TBWA\Chiat\Day, and a new pedestrian path and bicycle redevelopment scheme for the Richmond, Virginia, waterfront. Birmingham Markets Park As the city of Birmingham, England, looks to capitalize on a historic opportunity to create a new major civic space and park, Spatial Affairs is working to enrich a community-led proposal by laying out new residential, commercial, and public spaces in synergy with greenery and public health goals. To highlight the potential of the site, Spatial Affairs has developed an alternative approach that appropriates the leftover footprint of a redundant public market as the heart of the new parks complex. The project aims not only to meet the city's stated commercial and residential development goals, but also to use urban design in an effort to focus the benefits of rising land values surrounding the site toward community needs. Metropolitan Museum of Art Spatial Affairs Bureau has worked on several projects with the Metropolitan Museum of Art in New York City, both as a part of an interdisciplinary team that provided new outdoor seating areas for the museum’s Fifth Avenue location, and for several other projects as an independent contractor, including at the Met Breuer building. 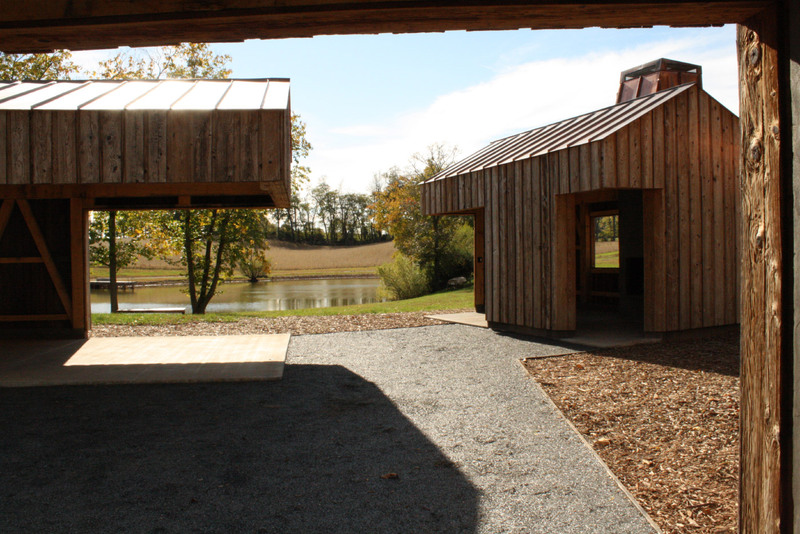 As part of its work with the Met, for example, the firm developed a pair of black metal panel–wrapped security buildings to flank the museum. Here, Culley deploys gently tapering forms designed to “respond to the classical architecture and soften the impact of larger elements as they meet the ground.” The approach was mirrored in a series of sleek bronze ticketing kiosks Culley created to help relieve crowding at both museum locations. Crosstown Arts The Contemporary Art Center in Memphis, Tennessee, is an arts and culture complex strategically carved out from within the hulking mass of a landmarked—but currently underutilized—1.5 million-square-foot former Sears warehouse and distribution center. The venue includes galleries, shared art making facilities, offices, artist-in-residence studios, and a bar. These amenities encompass portions of the first two floors of the warehouse, including a 10-story light well located at the center of the complex. With a distinctive, curving red staircase and excavated flared concrete columns populating the main “hypostyle” lobby, the complex represents an attempt to breathe new social life into a long-forgotten relic. Bouverie Mews Culley is also pushing the envelope in terms of housing, especially with the firm’s proposal for a planned 5,400-square-foot arts and residential compound in North London. There, the architect is working on a ground-up duplex anchored by studio space and a sculpture court. The Passive House complex is located atop a former brownfield site and is sandwiched between existing multifamily homes, warehouses, and the Grade II Listed Abney Park Cemetery Wall. Due to the landlocked project site, designs for the complex include multi-tiered gardens, precisely calibrated frameless skylights, and an interior layout that emphasizes borrowed daylight and views between different project areas. Heavenly Bodies: Fashion and the Catholic Imagination is an exhibition that shows the Catholic Church’s influence on fashion designers in imagery and symbolism, and the sumptuous garments and artifacts that inspired them. Exhibited at the Metropolitan Museum of Art’s Fifth Avenue flagship in the Mary and Michael Jaharis Galleries for Byzantine Art, medieval galleries and sculpture hall, and the Robert Lehman Wing, and at the Met Cloisters in Washington Heights, it puts fashion in the context of the museum’s holdings—paintings, tapestries, decorative arts and architecture—a signature strategy of curator Andrew Bolton, who employed this technique in China: Through the Looking Glass in the Chinese Galleries and Dangerous Liaisons: Fashion and Furniture in the Eighteenth Century in the Wrightsman Galleries. By contrast, The Vatican collection of clothing and jewelry, on loan from the Papacy, is displayed in the Anna Wintour Costume Center in a self-contained display (one descending, one is greeted by a priest’s cassock designed by artist Henri Matisse which resemble his cutouts, that was part of his commission for the interiors of the Chapel du Rosaire in Vence, France). Music by Samuel Barber, Gabriel Fauré, George Frideric Handel, Ennio Morricone, Michael Nyman, and Franz Schubert serenades you through the galleries. 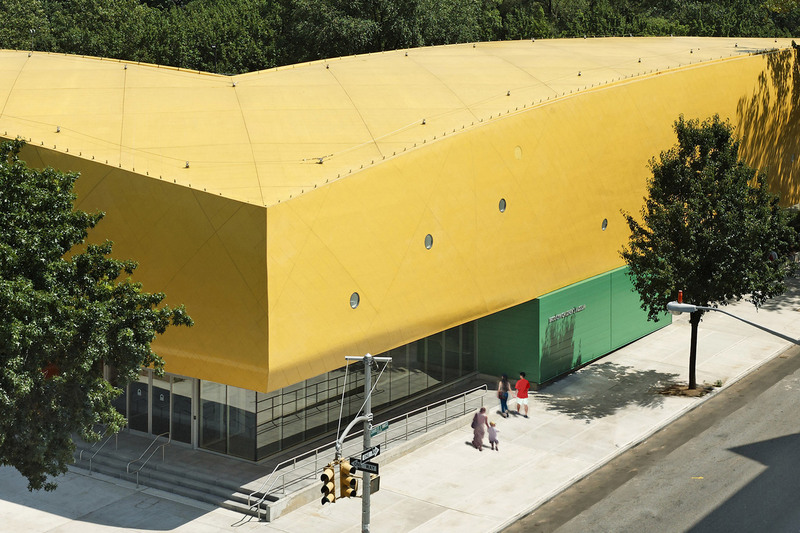 Heavenly Bodies was designed by Diller Scofidio + Renfro, with partner Liz Diller taking the lead. The 150 fashion ensembles from the early 20th century to the present, by designers who were largely raised Catholic are either ornate, or by contrast, monastic, usually dramatic, and sometimes over the top; they are set off by DS+R’s refined, solid and decidedly neutral platforms, vitrines, and pedestals in steel, concrete, and acrylic. Diller says she was channeling Carlo Scarpa (1906—1978), the Italian architect who infused contemporary aesthetics into historic building renovations, often museums; Castelvecchio Museum in a 14th-century Verona fortress, Fondazione Querini Stampalia in a 16th-century palazzo, Museo Canova in Possagno, and Pallazo Abatellis in Palermo. Diller, too, has found spareness and balance in her interventions, capitalizing on this collision of contrasts. The elegant custom display units include scored concrete pedestals that support cruciform metal tubes capped by a plinth that carries mannequins; clear acrylic boxes on dark gray-scored flooring; long horizontal metal tubes to hang multiple vestments; and a large cantilevered platform emerging from both sides of a partition to hold papal robes flat. “Fashion and religion have long been intertwined, mutually inspiring and informing one another,” said Bolton. He cited the "parallels between a traditional fashion runway presentation and the liturgical processions of the Roman Catholic Church…theatrical spectacles that rely on the tropes of performance.” This dialogue is particularly strong at the Cloisters, where the physicality of the buildings heightens the interplay; the Cloisters is a pastiche of architectural elements from European monasteries, abbeys, and chapels that were dismantled stone-by-stone and reconstructed on a cliffside site overlooking the Hudson. One example is in the Gothic Chapel, which features pointed-arched stained glass windows and seven tombs with figurative sculpture effigies. John Galliano’s armored ensemble lies recumbent between two crypts, hovered over by Gareth Pugh’s black zippered outfits perched high on pedestals, while Olivier Theyskens’s red-headed figure in a black gown, fastened with hooks-and-eyes, stands below stained-glass windows in a row with female statues. 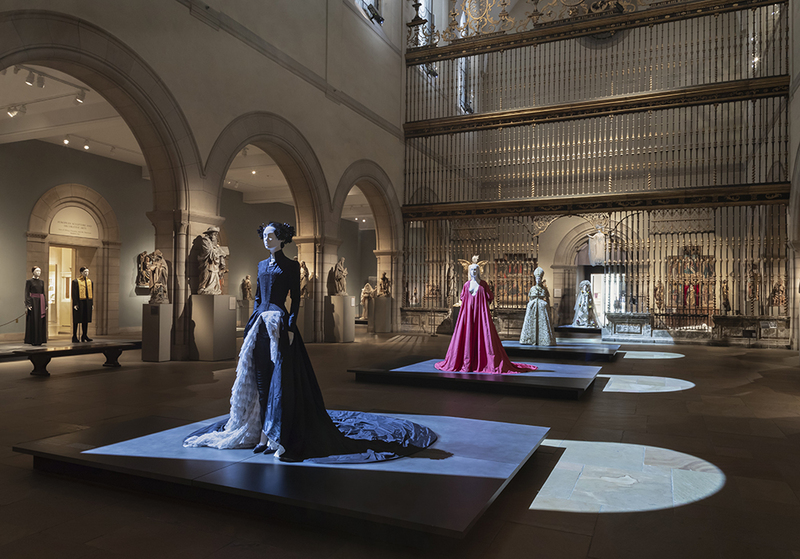 In another instance, large, dramatic haloed lighting that spills onto darkened floors is featured both at the Cloisters on a Balenciaga-clad bride in the Romanesque Fuentidueña Apse, a semicircular apse with a single-aisle nave, and on Fifth Avenue in the Medieval Sculpture Hall spotlighting Dior-, Valentino-, and McQueen-dressed mannequins. The layout of these galleries mimics the longitudinal plan of a church, with a central nave and side aisles. The pairings of fashion with appropriate environments can be satisfying. The “monastic silhouettes and minimalist sensibilities…deceptively simple, pared-down” in monochromatic palettes of black, white, and brown by Geoffrey Beene, Madame Grès, Claire McCardell, and Rick Owens are very much at home in the Cloisters’ austere Cuixa Cloister and Pontaut Chapter House. In the Glass Gallery, overlooking the Cloisters’ Cuxa, Bonnefont, and Trie Gardens, rows of trees are interspersed with fashion by Dior, Valentino and Takahashi that were inspired by the paintings Adam and Eve (1526) by Lucas Cranach the Elder, Hieronymus Bosch’s The Garden of Earthly Delights (ca. 1490–1500), and Van Gogh’s Wheat Fields paintings. Similarly, the Unicorn Tapestry is paired with Thom Browne’s white puff of a wedding dress. Perhaps the most simpatico pairing is in the Nine Heroes Tapestries Room, where the fashion seems to directly mirror the Met’s art collection: Craig Green’s ensembles, which Women’s Wear Daily called “warrior monk,” closely resemble the French tapestries that depict King Arthur, Charlemagne, Julius Caesar, Alexander the Great, Hector, and Christian and Hebrew heroes in color, texture, and style. Amusingly, Philip Treacy’s hats “in their architectural magnificence” with winged cornettes (think The Flying Nun) and molded forms in a series called Madonna Rides Again were inspired by the Burg Weiler Altarpiece which hangs behind it. Bolton writes, “The influential theologian Hans Urs von Balthasar wrote his magnum opus based on the belief that we first perceive the mystery of God through beauty, not truth.” Here is beauty in abundance in a rich and reverent setting. Although design studio New Affiliates has only been in existence a short while, its list of bona fides is long: Jaffer Kolb recently worked on major exhibitions at the Jewish Museum and the Metropolitan Museum of Art for Diller Scofidio + Renfro, and Ivi Diamantopoulou spent time as an associate at MOS designing off-the-grid residences and a number of high-design interior projects—including, notably, the short-lived design gallery Chamber. These experiences set them up well as one of the most promising up-and-coming New York architecture studios and one of AN Interior’s top 50 interior architects. Jesse Seegers visited the duo in their NoHo, Manhattan, studio. 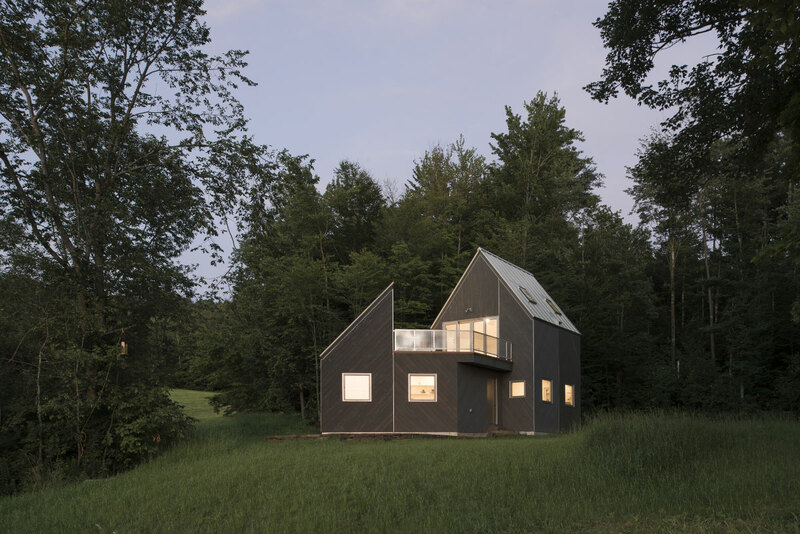 New Affiliates officially started in August 2016, and yet you’ve already completed a house in Vermont, the Tunbridge Winter Cabin. How did that happen? Jaffer Kolb Well, we really started designing that in March 2016, and it was done nine months later. It was very fast. It was in this empty field, on a 65-acre property, and there was no infrastructure, so we had to build a 2,000-foot-long road, install phone lines, septic, etc. Ivi Diamantopoulou As we were about to finish Tunbridge, we got our client for the Bed-Stuy loft. A fashion designer came to us through her real estate broker and asked, “What does your work look like?” At the time, the cabin was mostly finished, so we thought it would answer the question. But the finishes were not in yet. As soon as it was completed and photographed, she said, “OK, yes, let’s do it.” Kolb But it’s true the clients that we’re working with now primarily want to know about a level of aesthetic taste. They’re less interested in the form of the cabin, so while someone might find these two intersecting volumes interesting in an architectural context, they’re just like, “What are the floors? What kind of counters are you using?” Fortunately for us, she liked them. That’s pretty funny because I was noticing that there is a real attention to light in a lot of the photographs, which really makes the interior seem much bigger and accentuates the carefully considered material palette. Also, it helps that your photographer, Michael Vahrenwald, is great. Diamantopoulou Yes! Michael is a gem. But we also studied how light would hit these two angled volumes and deliberately oriented elevations in all directions. The vignettes of the cabinet-handle detail and the baseboard seem like particularly important moments. Kolb It was one of many instances where we really tried not to reinvent the house and its parts, but instead to twist inherited details into something strangely simple yet fun. You know, we get it—we designed a dumb form that looks like a Monopoly block. The plan is basically two squares, and then two angles where the two squares meet, but playing with a pitched roof is the thing that makes it really interesting. Diamantopoulou What we worked toward with this project is a general idea of asymmetry and imperfection. It does come from two identical parts, but the way the interior is organized, it’s never a perfectly mirrored plan. You don’t stand in the middle of the space and see the same thing on both sides. There’s always something that’s off, and even with the cabinet pulls you mentioned: They’re not circles, they’re kind of a circle. Kolb This was Ivi’s idea, which I think is a brilliant one, because we didn’t want hardware. We drew it out on the actual, original cabinets for the contractor and he immediately started to plan uninstalling them to take them to his shop. Diamantopoulou And we stopped him and told him to do it on-site! Kolb He warned us he wasn’t going to be able to make a perfect circle, and we said we would much prefer a wobbly, funny, quasi-crafty thing than something that looks like it came from a catalogue. Not only were we fine with that, but we think it contributes a lot to the design. Diamantopoulou The exposed steel pipes are similar: They are not aligned with one another; they are not centered. Nothing in this project is trying to be at a specific location; everything is kind of relaxed. Kolb Yeah, it’s loose. We try to keep things informal. Diamantopoulou Designed but not design-y. There’s something refreshing about that attitude of open-endedness and relaxed acceptance of quote-unquote “imperfection.” Kolb It’s funny you say that, because we’re writing a text on imperfection and openness, and it’s not about the openness we took from the ’60s—let’s just make an open field and we can occupy it. It’s more like, “Why don’t we just make a thing and leave enough that is unsettled?” Diamantopoulou There’s this idea of an economy of means that comes from the world at large. I think also particularly our generation, living through the aftermath of 2008 and having to just do whatever you can with what you have. Kolb But there is a practical value to this. I think fussiness is out. I really do think that everyone we know works hard, but everyone we know also rejects the idea of working hard at the same time. I think it’s a new kind of labor politics around trying to resist the 24/7 work cycle we have been taught by the generations that preceded us—to let go a little, to engage architecture without trying to overly control it. Diamantopoulou And that inevitably translates into an aesthetic project—the implications of which become “making it work” with things we’ve inherited, from shapes to construction techniques. Kolb In some ways, the easiest thing to do is to make everything out of these inheritances. Design with circles and squares, but not even difficult circles and squares! Easy, flexible ones! Diamantopoulou Kind of flexible. Kind of… The art of the kinda. 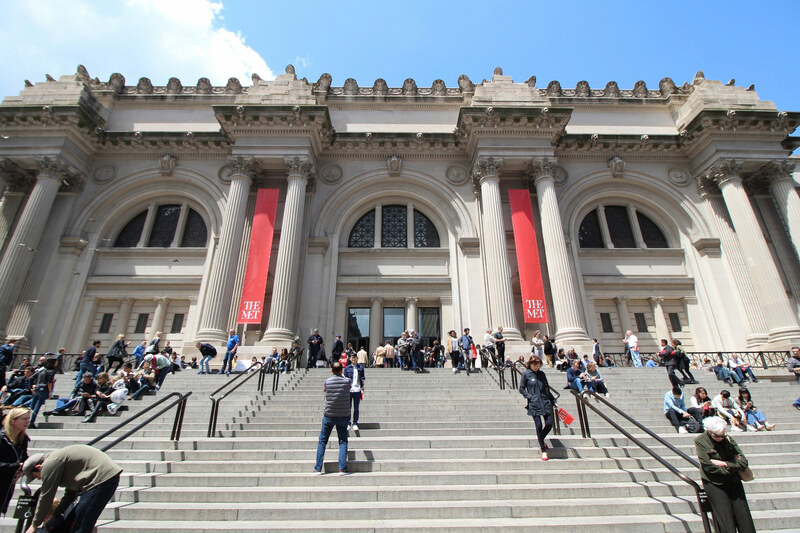 The new year has kicked off with the news of the Metropolitan Museum of Art changing its admission policy. Instead of a voluntary contribution, any adult without a New York State proof of residence will have to pay the full price of $25, with few exceptions. I used to work at the Met as an exhibition designer. Well aware of the financial troubles of the institution, I participated in brainstorming sessions among the departments to think of ways to generate revenue from visitors without adding a non-negotiable admission fee. I was working at the Met when it rebranded itself under the tagline of being "open" and trying to be more accessible "for everyone." The museum spent millions of dollars on a new identity and logo geared towards appealing to a broader public and getting rid of its elitist image. In this vein, the question of admission is not merely a financial one–it is a design and visitor experience problem. Ironically, the decision to charge selective admission fees will affect exactly the people the museum is trying to reach through expensive outreach and education programs. From a design standpoint, the visitor journey into the museum is now a divided one, with financial and psychological barriers to entry for those who are least likely to come. By drawing a line based on people’s ability to afford rent within the five boroughs, the Met is revealing its own contradictory nature. It wants to be exclusive and sophisticated, while still "for everyone." Even for locals who would technically be able to enter, the policy presents a deterring tactic. New Yorkers who lack proper documentation, including those without legal status, are affected, as are commuters who work in the city every day but live in a nearby state. It also excludes family and friends who visit their New York-based relatives on a budget and might not be able to afford what the Met leadership considers a "fair" price. This is not the only instance of the paradoxical spending priorities at the Met. The Met Gala swallows millions while the exhibitions department can’t afford necessary equipment. The cafeteria increased rates on subprime food the same year nobody got a raise. The museum was planning a $600-million-dollar expansion while not updating the completely antiquated signage in the Great Hall. Seen this way, the new ticketing policy is just the tip of the iceberg of irrational financial decisions. From a financial standpoint, the new admissions policy also entails a number of hidden costs. It makes the ticketing and admission process more expensive because of the added time needed for ID-checking and negotiating. New signage and way-finding needs to be designed and installed to explain the new policy to visitors. The Great Hall needs to be re-organized with new stanchioning to address the two-tier system. While tickets are one way of generating revenue, there are other ways to raise money from visitors while keeping admissions fees voluntary. They are all connected to a perceived value of the visit for one-off visitors and to a sense of identification for returning ones. This is where design can play a critical role in helping people understand that their contribution is actually valuable to the museum. 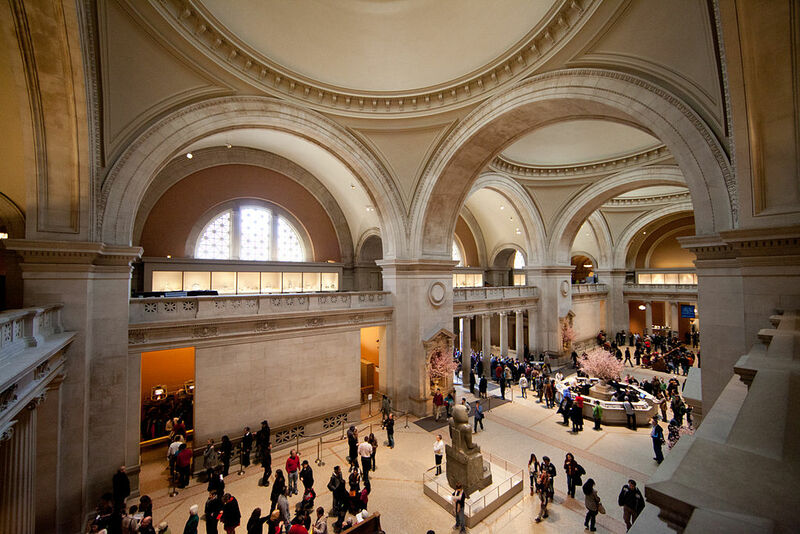 The visitor journey starts with the online presence of the Met, and continues as people enter the museum and wait in line for their ticket. There are currently six ticketing booths at the Met, with long lines in front of the coat check and the sprawling retail store tucked in the corner. Because of confusing signage, people return to the Great Hall multiple times per visit to re-orient themselves, adding to the crowded feeling. A reorganization of the Great Hall is long overdue and could drive revenue with more effective ticket processing times combined with nudges towards retail and hospitality opportunities. Clear messaging and signage, open retail displays and optimized ticketing are all ways to make the visitor experience better and drive revenue at the same time. While the Met has discussed and tried to implement some of these ideas in the past years, the measures cannot be implemented simultaneously, so it is hard to measure their collective impact. Secondly, the internal priorities of different stakeholders make it hard to proceed in a unified and consistent direction. Perhaps the Met could start seeing the phased rollout as an advantage, where each measure can be fine-tuned and evaluated before final implementation. One hidden motivation behind the policy may have been to actually decrease the number of total visitors to address overcrowding. 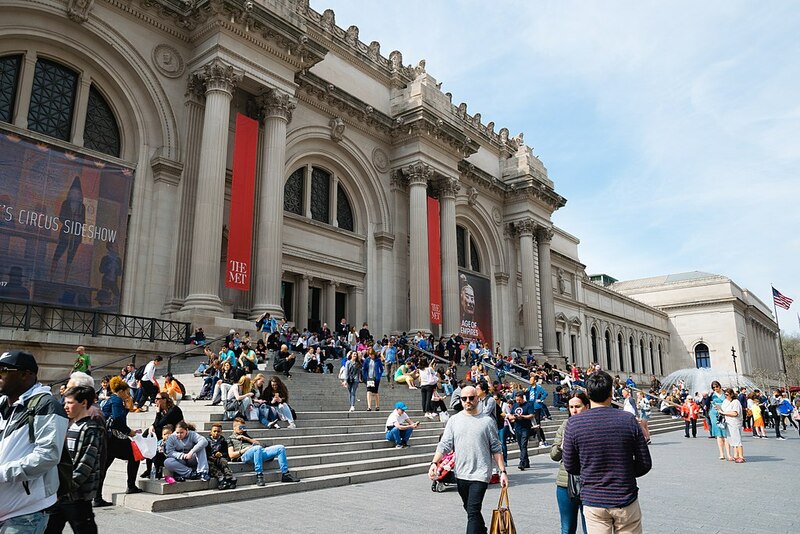 The argument goes that more people will end up coming who truly appreciate the Met, as the visit is something of value since it has a price tag. However, looking at the Museum of Modern Art (MoMA), which charges a mandatory admission fee of $25, the new policy is not likely to change the number of visitors significantly, just the make-up of the crowd. For that reason, the Met needs to evaluate beyond just numbers, and understand how the changed policy affects who can visit and who is kept out. While argued as a economic necessity, the Met’s decision to abolish free entrance for everyone but those with the right identification is designed to exclude society's weakest. It is not a coincidence that the measure was put in place in absence of a director. One can only hope that the new director will recognize the opportunity to roll back this exclusionary policy. 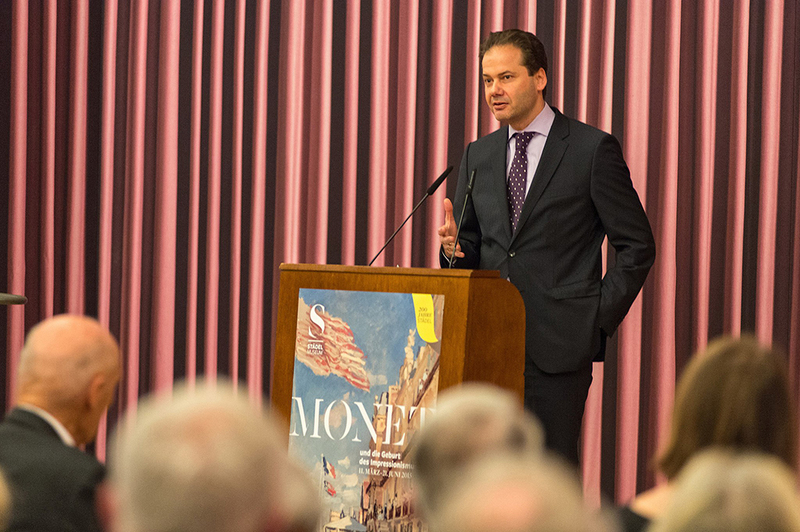 At a time when the political climate is hostile to the values forwarded by museums and cultural public institutions, it is vital that the Met's mission of openness and access is actually put into practice. 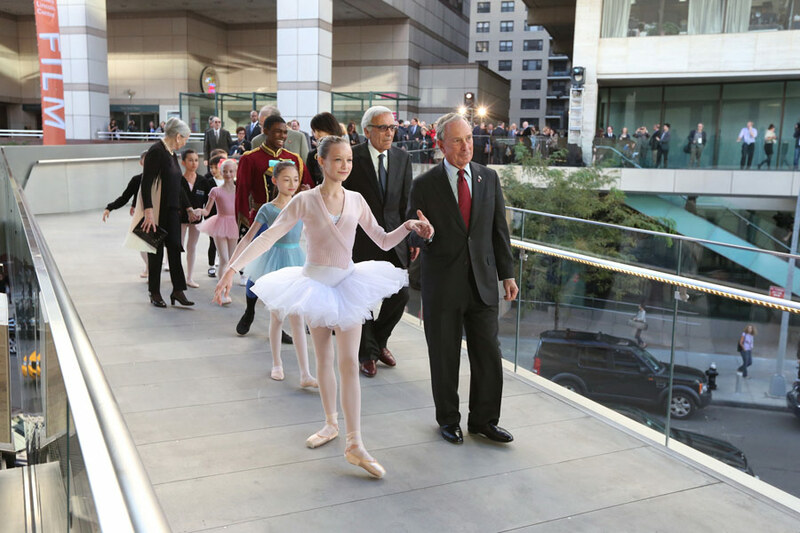 Mayor Bill de Blasio is rethinking the city's cultural funding plan, a move that could impact not just major institutions like the Met and Lincoln Center, but smaller, outer-borough arts organizations, too. Large organizations, many of them based in Manhattan, are worried about getting less money for their programming, while grassroots groups, especially those working in lower-income neighborhoods, are hoping to get a bigger slice of funding with the Mayor's proposed changes. The city allocates $178 million annually for its arts budget, so that funding comes from a pretty big pie. Especially in the face of cuts to the National Endowment for the Arts, the city's changes, the New York Times reports, "could be setting the stage for an art-world version of class warfare, with cultural giants and their well-heeled patrons pitted against smaller, less-glamorous institutions that focus chiefly on serving racially and economically diverse local audiences." Right now, the Metropolitan Museum of Art gets $26 million, the largest single grant at almost 15 percent of the budget, while the Bronx Historical Society gets less than $200,000 from the city. The Cultural Institutions Group, a coalition of 33 arts organizations, gets 63 percent of the budget, and the rest is distributed through grants. So far, 20,000 residents have weighed in on where the funding should go, and why. Those findings will be released in summary next week, while Mayor de Blasio's team has until July 1 to submit a cultural plan to the City Council for consideration. Some practitioners think it's time to expand the pool, investing more in arts and culture so all institutions, big and small, can sustain themselves and their missions. To that end, the city last year added $10 million to its arts budget and set that money aside for smaller organizations specifically, and gave larger groups a six percent increase. 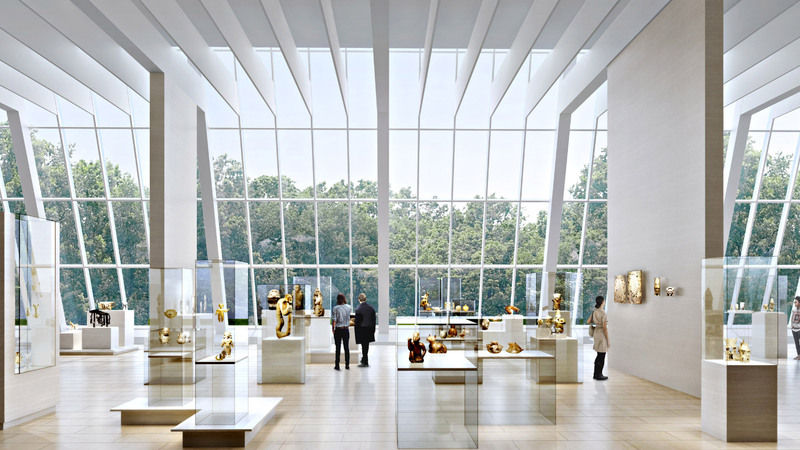 The Metropolitan Museum of Art in New York will delay the redevelopment to its southwest wing by up to seven years as the institution faces cutbacks. The museum has slashed its budget by $31 million in recent months as it faces deficits. Work on the wing was due to be carried out by British architect David Chipperfield. It was touted to cost around $600 million with the wing housing modern and contemporary art. Had all gone to plan, the Met would have been able to celebrate its 150th anniversary with the new wing. Construction would have taken place while the museum used the Met Breuer. According to the New York Times, the Met had not changed its position on the eight-year lease of the former Whitney Museum—something that costs the Met $17 million a year for the privilege. Work though at the museum will continue. Skylights and a roofing system are in line to be replaced but this is only due to start in 2018, the work of which will be stretched out over four years. Kathleen Curran uses the erudite German term Kulturgeschichte for the kind of art museum display known more commonly as composite or contextual installation. Her research has unearthed the minutiae of U.S. museum history, adding to the extensive, existing publications about its European precedents. The author starts with the well-known roots of London’s Victoria and Albert Museum (called the South Kensington Museum when it moved to its first permanent building in 1857) in industry and the mechanical arts. 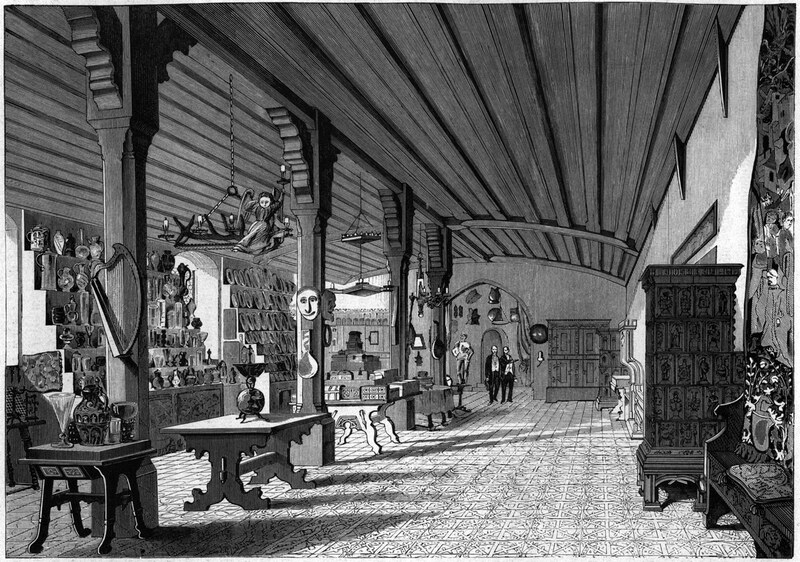 Installation of the collections was based on materials and technique, and Curran fails to tell the reader that the change to a cultural, rather than a craft, display began to take place in the mid-1930s. In contrast with the V&A, museums in Munich, Berlin, and Zurich had adopted chronological arrangements of objects in period settings—also favored by directors and board members in the United States. Likewise, the Americans looked to national museums like the Musée de Cluny in Paris. Their interest in emphasizing the era of each gallery was guided by the Cluny’s unusual chronological arrangements, exhibits of sculpture and architectural elements in the period style of the rooms where they were exhibited, and illumination that heightened the historical emphasis. Considering that early museum installations were not photographed, the author has done a good job in supplementing existing black and white illustrations with plans of the buildings under discussion. Within the text, figure numbers printed in red are helpful. Upon its completion in 1902, the Boston Museum of Fine Art took the lead in what Curran describes as setting “the standards for the first great era of public art museum construction in the U.S.” Among other fine points, it is fascinating to learn that in contrast to the whirlwind visits of comparable trips undertaken by search committees today, the museum’s president, building committee chairman, and the architects they had chosen (Sturgis Wheelwright) spent three months in Europe, visiting every major museum and gallery there. Their investigation decided the group on the Hessisches Landesmuseum in Darmstadt (Alfred Messel, 1906), a Kulturgeschichte museum, as a model. The Metropolitan Museum of Art in New York City followed suit. In describing its beginnings, Curran brings to light the outstanding men responsible for it. Wilhelm R. Valentiner, a young and talented Dutch Rembrandt scholar almost single-handedly created the Met’s new decorative arts department, where he began to work in 1907 at the request of John Pierpont Morgan. Valentiner, was in turn influenced by the formidable Wilhelm von Bode, director of the Kaiser-Friedrich Museum in Berlin, whom he assisted for two years. Then and now—after a sensitive renovation completed in 2006—the Kaiser-Friedrich Museum is a touchstone of high-quality composite arrangements of decorative arts, painting, and predominantly, sculpture. When it opened in 1910, the Met’s Wing of Decorative Arts designed by McKim, Mead and White was the first part of the museum building planned with direct reference to the objects it would contain. Based on the open court plan of the Musée des Art Decoratifs in Paris, the New York museum followed the ideals of Kulturgeschichte that were expressed throughout the Boston MFA. Morgan’s relationship with Francis Goodwin (president of the Wadsworth Atheneum in Hartford, Connecticut, 1890–1919), another luminary in this constellation of brilliant museum enthusiasts, produced strong architectural similarities between the two buildings. I, for one, had never noticed that the Morgan Hall in Hartford (by Benjamin Wistar Morris) is almost an exact replica, although slightly smaller, of the Met’s Decorative Art Wing. A chapter devoted to midwestern art museums also contains riveting nuggets of information. One, for example, explains the origin of “period rooms” in Minneapolis (inaugurated in 1915), where Valentiner’s associate curator, Joseph Breck, was the first director. Breck was able to include paintings in his composite displays, something Valentiner had not been allowed to do at the Met. For the Minneapolis director “period rooms” contained objects selected to represent a specific period of art; they were not rooms transferred intact from historical houses. According to Curran, Cleveland’s museum (1916), which turned out to be a condensed version of the Boston MFA, set the standard for a series of midwestern museums. The garden court in Cleveland, with walls designed to reflect the artistic periods of adjoining galleries, was particularly influential. An interesting issue raised in this chapter is the contentious relationship that developed at times between the museum architect and its staff, with critics divided as to which should take the lead. Fiske Kimball, the prodigious scholar of American history, enters the narrative here in his seminal role in the creation of the Metropolitan Museum’s American Wing. He exerted an equally decisive influence on the Philadelphia Museum of Art, where he became director in 1925, and mapped out an alternation of period rooms and composite display galleries in a triumph of Kulturgeschichte. 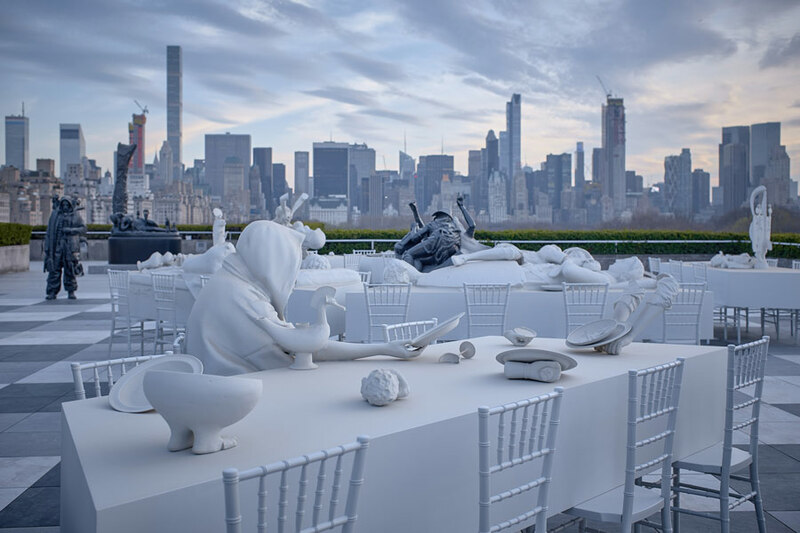 Curran’s work on the invention of the American art museum calls to mind Mary Anne Staniszewski’s illuminating history of installations at NYC’s Museum of Modern Art. Curran’s concern is historical fine and decorative art; Staniszewki’s is modern art. For all those interested in museums and their origins, these behind-the-scenes accounts are deeply engaging, not least in their revelation of how what goes around, eventually comes around.